My father told me this story. I don’t know if it is a true story or not. So, here it goes like I heard it. Back in the 1960s, Fidel Castro often invited Soviet athletes to visit the Freedom Island of Cuba. Soviet weightlifter Yury Vlasov was one of the most popular sports personalities of that era. He was the strongest man on Earth of the time. Castro was also quiet strong and athletic. During Vlasov’s visit to Cuba, Fidel suddenly offered Vlasov to arm wrestle him. No person was able to refuse Castro on Cuba. So, Vlasov agreed. Supposedly, Vlasov relatively fast won that arm wrestling match. What did you expect? He was an Olympic super heavyweight champion and held all world records. With all this said, no one could win against Fidel Castro. 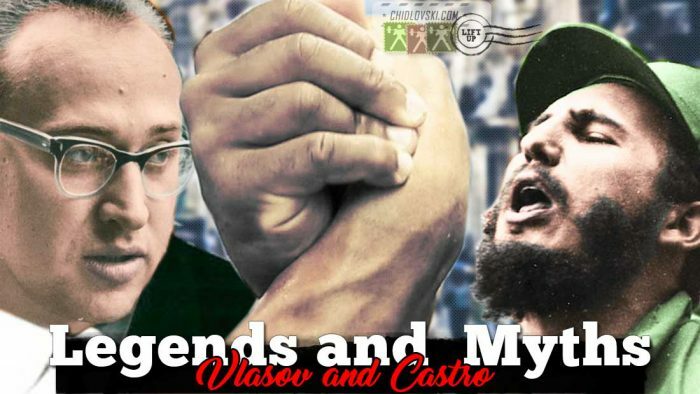 Castro congratulated Vlasov with the victory… And after that Vlasov was never invited to visit Cuba. True or not but it was the last meet between two big legends and two big myths of the 1960s. More about Yury Vlasov at the Lift Up. This article is a translation of the original published @ Chidlovski Blog Chidlovski. We will continue publishing translations of original articles available in Russian.